There are a lot of misconceptions about Cuba, perhaps in part because it’s remained rather isolated from the rest of the world for over 50 years. I often get emails from well-meaning (but ill-informed) readers asking whether Cubans really hate Americans or if it’s true that you can’t bring back the cigars. While some of the myths about Cuba are silly, others scare would-be travelers into not visiting. Cuba is a fascinating country filled with exciting sights, a complex history, and a vibrant people. It would be a real bummer if a few misconceptions about visiting Cuba prevented someone from taking a trip there. 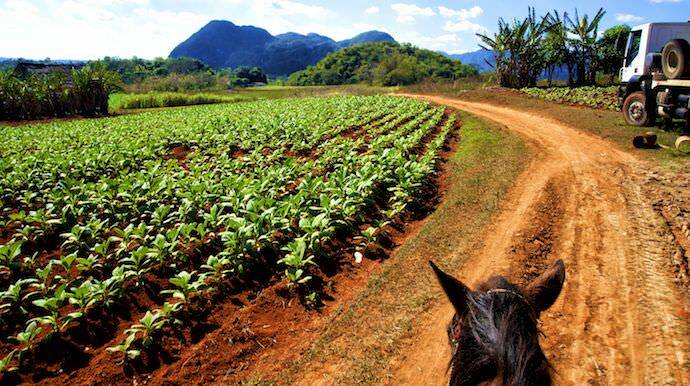 Don't miss quintessential Cuban experiences like horseback riding through tobacco fields because of negative misconceptions. So I’ve decided to set the record straight. Here’s a list of commonly-believed myths about Cuba, along with explanations for why they are wrong. If you’re on the fence about traveling there, or just want to know the truth, I hope this helps make things clearer. 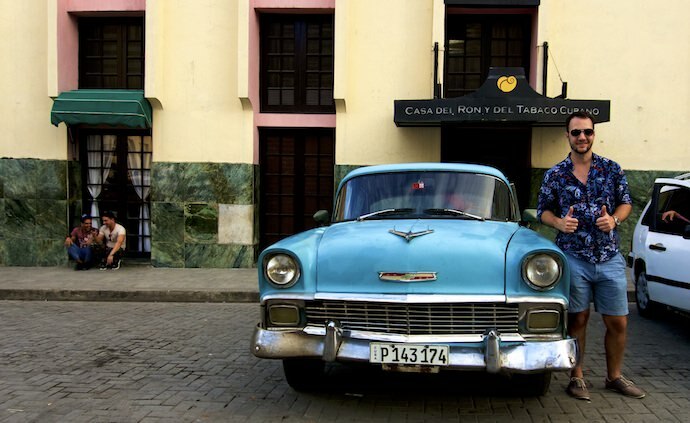 Myth #1: Americans Can’t Legally Visit Cuba. 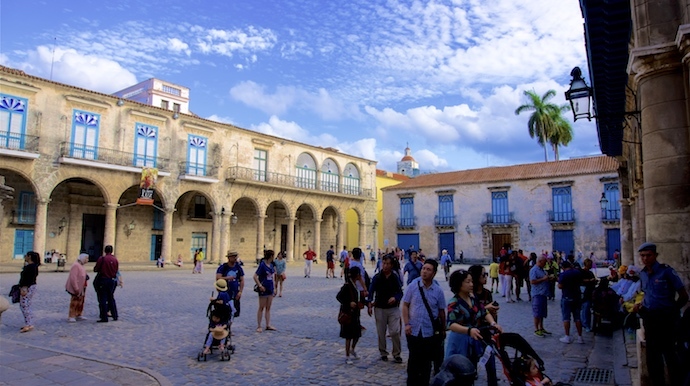 Despite what you may have heard, Americans absolutely can visit Cuba legally. My Tarjeta del Turista, which I got at the airport before departing to Havana. Americans have been able to visit Cuba as part of certified people-to-people groups for some time, but as of 2015 they’ve also been allowed to travel their independently if their trip qualifies under one of eleven categories like supporting the Cuban people, humanitarian projects, or professional research. You can find out more about traveling to Cuba legally in my guide for Americans: How to Legally Travel to Cuba in 2018. Myth #2: Cubans Hate Americans. I might have seen more American-flagged items over a three-week period in Cuba in January than I do on most 4th of July weekends. You think Cubans hate Americans? This is simply not true. While the Cuban and U.S. Governments might not be on the best terms always—and the peoples might not always agree on the ‘what’ or the ‘why’ of past events—as an American I felt nothing but welcomeness from the Cubans I met. In fact, the Cuban people might have been more friendly to me than to my non-American travel buddies since I (1) had to go through more bureaucratic hoops to visit, and (2) I could provide insights into my homeland. Many Cubans are intrigued by their larger neighbor just 100 miles to the north. They often have relatives who live there, and they consume a surprising amount of its pop culture. Many of them dream of visiting the U.S. when—and hopefully it’s soon—the two countries relations are better. When visiting Cuba, you’ll see locals wearing American-flag-themed shirts, hats, and bags. In Havana’s central market they even sold prints commemorating President Obama’s historic visit to Havana in 2016—hardly indicators that they hate Americans. OK, in this case maybe they were also being good marketers. Myth #3: You Won’t Be Able to Use The Internet in Cuba. There is internet in Cuba and, yes, you can use it. However, connections are slow and access is limited to Government-approved locations: luxury hotels, internet cafes, some private residences, and public wifi hotspots. Officials have promised to expand service to most private residences by the end of 2018, but many Cubans are skeptical. To use public wifi, you first need to buy a one-hour pre-paid card from ETECSA, which you can get after waiting (sometimes for a while) at one of their offices for 1 CUC or from a vendor on the street for 3 CUC. You can find hotspots by looking for large crowds of people staring at their phones, or by checking this map. If you build it (or have public wifi), they will come. The Cuban Government does ban some websites it deems dangerous to the state, but this probably won’t affect you. When I was in Cuba, none of the major websites or apps a traveler might want to use—Google Maps, Gmail, Facebook, CNN, AirBnB—were blocked. Apparently you can even override the ban entirely by ensuring that your URLs start with https rather than http. Unfortunately, your cell phone probably won’t be able to use network data (or even make calls) while in Cuba, despite what your provider says. Even though you can use the internet in Cuba, should you? It can actually be quite relaxing to stay offline. Why worry yourself with the latest news or work emails if you don’t have to. You’ll sleep better, feel less stress, and better focus on your trip. 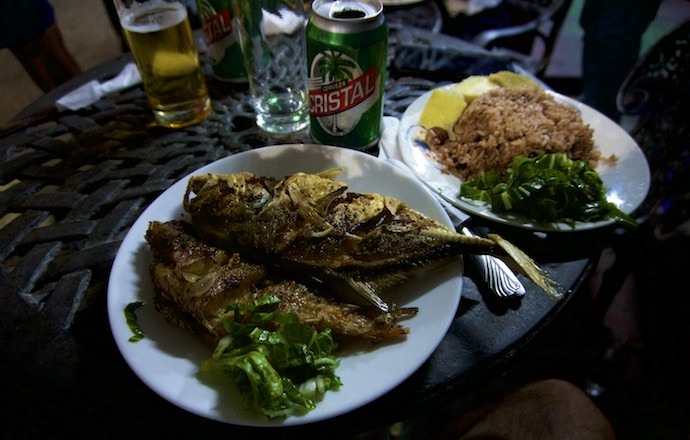 Myth #4: The Food is Bad in Cuba. While Cuba might not yet be the foodie destination that Italy is, its reputation for having cuisine on par with North Korean truck stops is not deserved. In fact, I quite enjoyed the food I ate in Cuba. Yes, it’s true that there isn’t a ton of variety in the ingredients—nearly every dish at a sit-down restaurant has rice, beans, and grilled meat—and there isn’t always a ton of spice—the natural flavors of what you’re eating is what you taste—but the end result is almost always surpassingly satisfying. 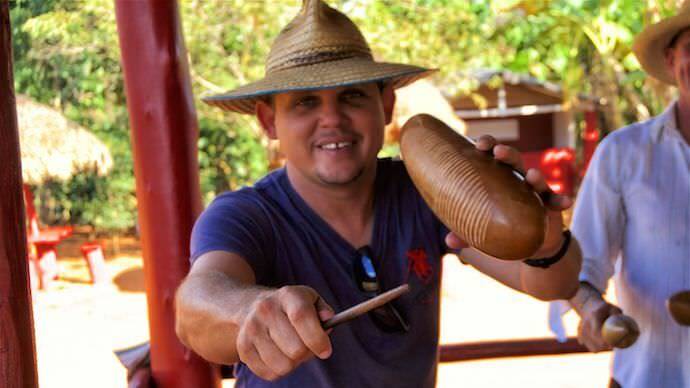 I still dream of local favorites like Rope Vieja, Vaca Frita, Platanos Maduros, and Moros y Cristianos. And the breakfasts I had at casa particulares—buffets of fried eggs, ham and cheeses panini, and mouth-watering fresh fruit—are hard to top. If you’re taste-buds crave spice, or you’re in need of more food variety, consider packing a bottle of Tabasco or grabbing one of the many snack pizzas local vendors sell on the streets. 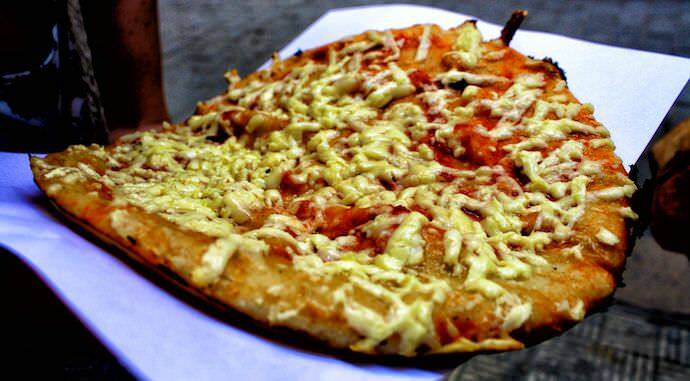 One of the surprisingly-delicious street pizzas you find in Cuba. 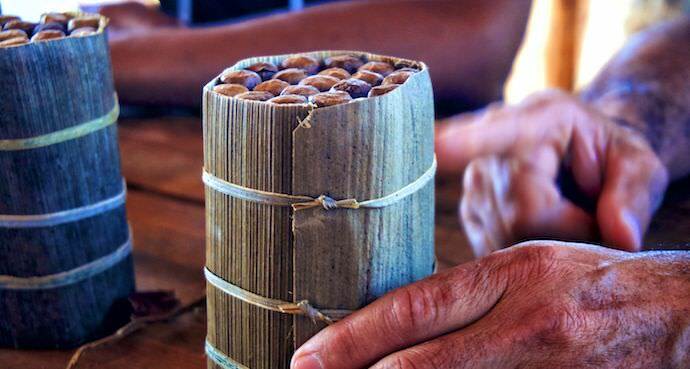 Myth #5: You Can’t Bring Cigars or Rum Home. For over 50 years the American Government barred U.S. residents from buying Cuban products, including the island’s famous cigars and rum.That has since changed. Today, travelers from America—and all over the world for that matter—can legally bring cigars and rum back from Cuba. It's a real pleasure being able to enjoy a few hand-rolled cigars after returning home from Cuba. In fact, you can essentially bring back as many cigars or as much rum as you wish. You just have to follow a few regulations. -The Cuban Customs website lists a limit of three bottles of rum per person, although there is no mention of this on the English-language website. -The rum must either be in checked luggage or in a sealed duty free bag to travel on an airplane. Cruise ships are different. 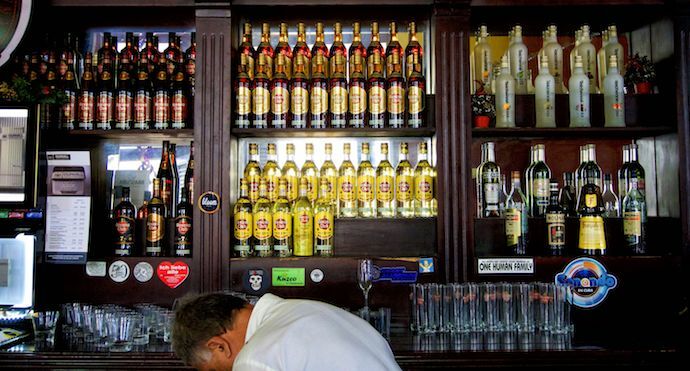 Yes, you can stock your own bar full of Cuban rum. 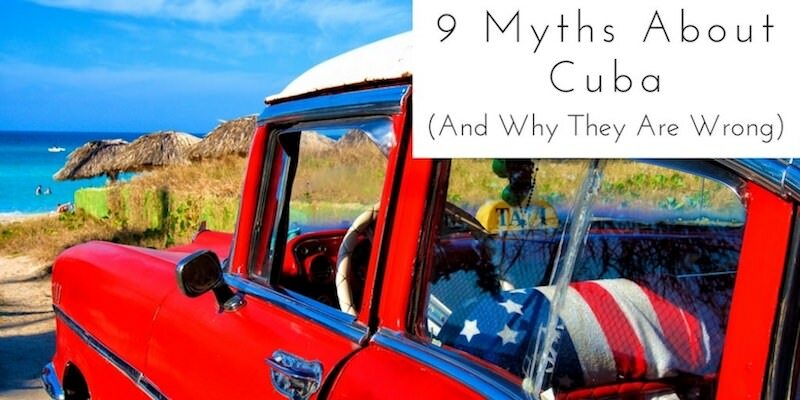 Myth #6: They Don’t Really Drive Classic Cars. A lot of people seem to think that the vintage cars you see in photos of Cuba are just for tourism brochures and aren’t really part of everyday life. This couldn’t be further from the truth. Classic cars are literally everywhere in Cuba, and they are used for almost everything, including buses, ambulances, and taxis. 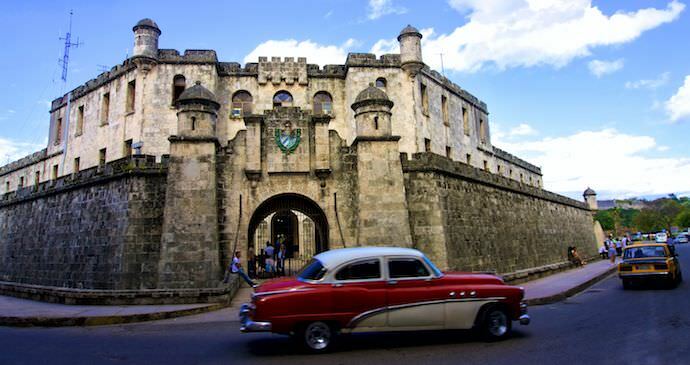 A vintage cruiser plows past the 16th century Castillo del Morro in downtown Havana. After the revolution in 1959, it was incredibly difficultly to import new cars to the island. As such, for the last 60 years most Cubans have relied on whatever vehicles were left lying around. 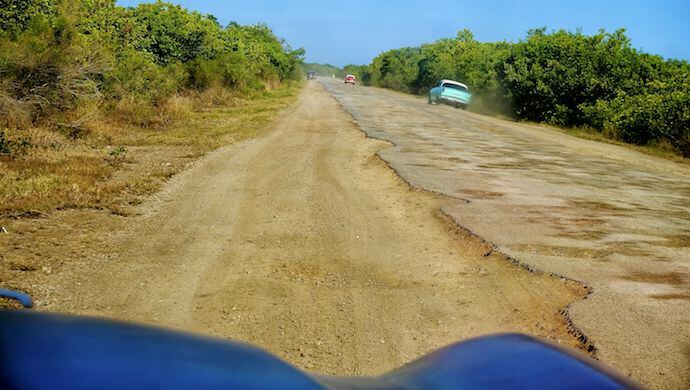 Taking a ride in a classic car is one of the most memorable—and perhaps uncomfortable (potholes and a lack of suspensions don’t make for a comfy ride)—experiences you can have in Cuba. Myth #7: Cuba is Dangerous. Cuba is generally quite safe for visitors. 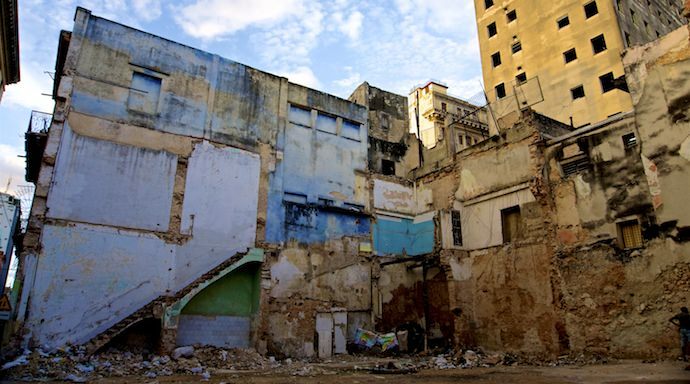 While some places on the island—especially certain neighborhoods in Havana—show the signs of decay and poverty that are often associated with danger in the U.S., the chances of being the victim of violent crime in Cuba are incredibly low. Not only is it illegal for anyone in Cuba other than military personel to have a gun, but most would-be criminals are scare off by the threat of severe prison sentences for anyone caught harassing a visitor (remember, tourism is Cuba’s main industry). Pickpocketing and theft—while rare—does occasionally occur, especially in popular tourist areas, but you can usually avoid this by locking your doors and keeping a careful eye on purses, backpacks, and wallets. The greatest risk to personal safety one faces while in Cuba is the roads, which are often in need of maintenance and under-lit at night. Traveling by day with an experienced driver (I encourage you not to rent your own car), should minimize these risks. Myth #8: Nobody Speaks English. You don’t need to speak much—if any Spanish—to get around Cuba. Many of the locals, especially residents of larger cities or those involved in the tourism industry, speak English. Much of the signing in popular tourist areas is in English, as are many restaurant menues. Having said that, it is both polite and useful to learn a few basic phrases in Spanish. Locals always appreciate it when visitors know how to say ‘hello’ or ‘thank you’ in the native language. If your Spanish is more advanced, don’t hesitate to use it. 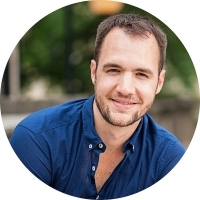 Hosts at Casa Particulares, Paladores, and other private establishments might have a limited English vocabulary, making it much easier to discuss complex topics (and create meaningful connections) in Spanish. Myth #9: Cuban Culture is in a Time Warp. Given the vintage cars and lack of 4G internet, it’s easy to assume that Cuban culture is lagging well behind the rest of the world. Yet, when you visit, you see that the local people do a surprisingly-good job of staying up-to-date with the latest news as well as trends in fashion, entertainment, and music despite the obvious challenges. They watch last week’s episode of Game of Thrones (smuggled in weekly via USB drives that are copied and shared throughout the island) on LCD tvs, and are as interested in classic cars as the newest hit song, which when I was there was ‘Despacito’. New TVs and other electronics at the Havana Airport. They wear jerseys from the top international sports stars—although it may be in last year’s style—and talk about how much they love Bruno Mars and Rihanna. I found the Cuban people’s drive to inform and entertain themselves, in spite of their Government’s restrictions, to be both encouraging and inspiring. Perhaps you will as well. As you’ve seen, there are a lot of negative misconceptions about Cuba out there. Fortunately, the ones I’ve shared here are not true. Cuba is an exciting country that captivates and inthralls visitors. If you can overcome the false myths about Cub, you’ll discover an island with a diverse culture and an interesting people. Want to ensure you're ready for your next trip? 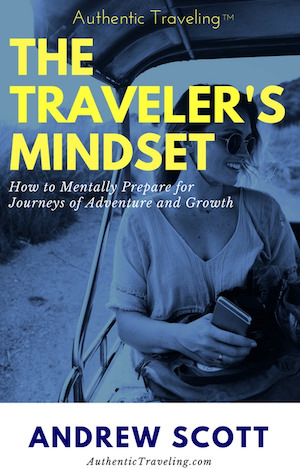 Downloading my FREE pre-trip boot camp The Traveler’s Mindset: How to Mentally Prepare for Journeys of Adventure and Growth!